Do not put the turtles back into the water as they need medical attention from our experienced veterinary staff. 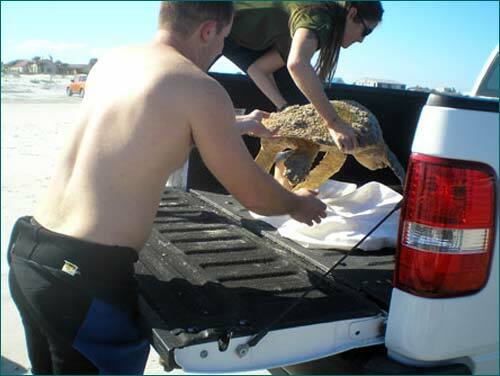 If you find a dead or sick sea turtle please call the FWC turtle pager at 1-800-241-4653 and enter number 274-4867. The hours of operation are from 8:00 am - 8:00 pm.